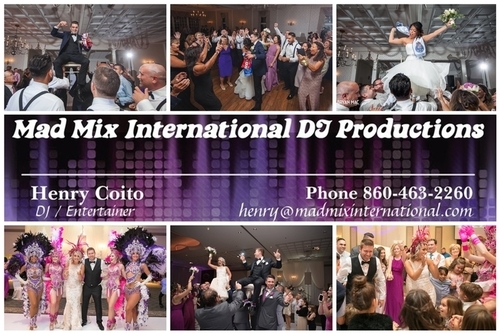 Mad Mix International Productions has been providing entertainment for over 20 years. Our Services specializes in a wide variety of events such as Weddings, Birthdays, Anniversaries, Sweet 16's, Proms, Schools, Private and Corporate events. We offer packages with Up Lighting, Live Photos of your event on screen TV's., Dance floor lighting and special effects. Providing International music for the Spanish, Portuguese, Brazilian and Italian Communities in Connecticut, Massachusetts, New York and New Jersey areas.